The term CMP, when used in trading stocks, stands for current market price. Also known as current market value, this refers to the rough price at which shares currently are trading in the market. Since stock prices are always in flux, you won't necessarily be able to buy as many shares as you wish at the currently quoted market price. The term CMP refers to the current market price of a stock. It reflects the approximate price for which you can buy or sell a stock. Since stock prices fluctuate more or less continuously, you may not be able to buy or sell at exactly the price that you see quoted at any particular time. The current market price is the price that you often see quoted for a stock on financial websites, financial news networks and brokerage websites. 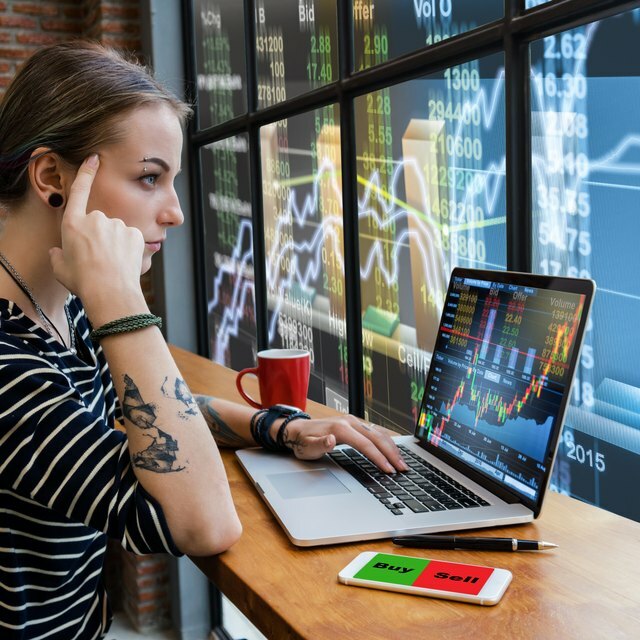 If you want to know the current market price for a stock to determine whether you should buy or sell the stock, you can search for its ticker symbol on a financial information site or brokerage site of your choice. If you decide you want to buy or sell the stock at the current market price, you enter what's called a "market order" with your brokerage. Keep in mind that the market price might change slightly between when you enter the order and when the trade executes. Your order itself, if large enough, may shift the price up or down. With less-frequently traded securities, and during particularly volatile market sessions, these fluctuations may be more extreme, causing you to spend less or more than you expect when buying stocks, or receive less or more than you expect when selling them. If you are concerned about market price fluctuations affecting your trading prices, you can issue what is known as a limit order. In this case, you're specifying a minimum price you want to sell at or a maximum price you want to buy at, and also telling your broker not to accept a worse price than that on your behalf. For instance, you might tell your broker to sell 500 shares of a particular stock, but only if you can get a price of at least $50 per share, or to buy 500 shares at a price of at most $50 per share. Various kinds of limit orders specify what should happen if a trade can't be fully executed, such as if there aren't enough shares available to buy at a price you like, and how long an order should remain in effect before the broker effectively gives up. Keep in mind that if an order takes more time to fill, especially stretching into multiple days, your broker might charge you multiple commissions, meaning that your net earnings from your transaction might be reduced. You also can specify what is called a stop order, telling your broker to sell or buy a stock if its price goes above or below a certain threshold. For instance, you might tell your broker to sell shares if the price of a stock goes above $75 or to buy the stock if its price per share falls below $50. Keep in mind that if a stock price is rising or falling rapidly, a stop order might be executed at a price significantly above or below your chosen limit. The Motley Fool: What Happens to the Share Price When New Shares Are Issued?